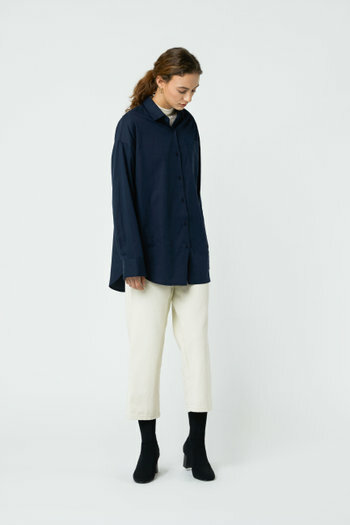 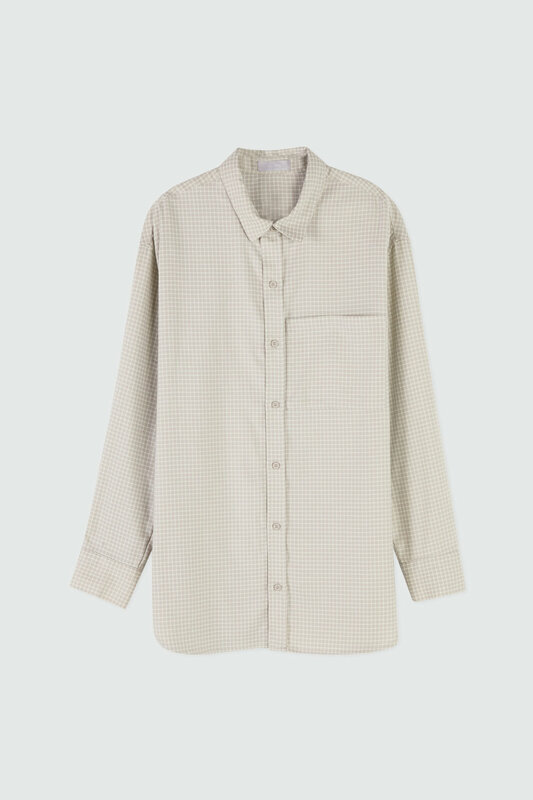 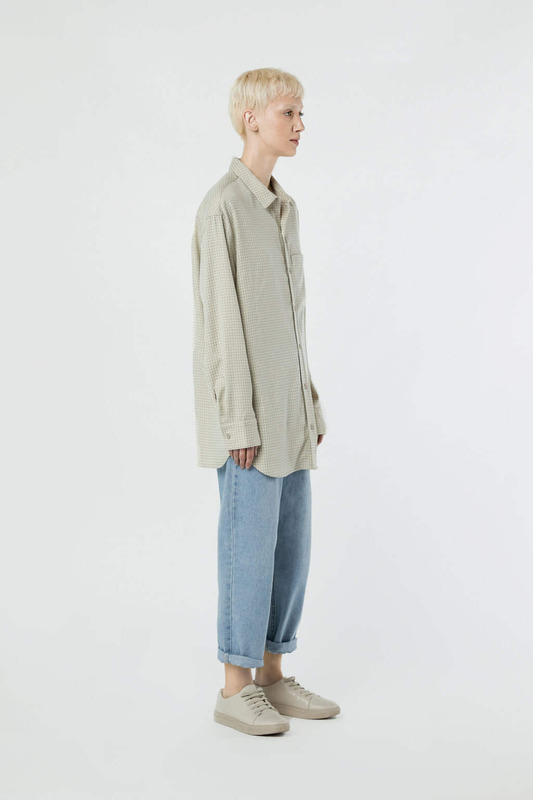 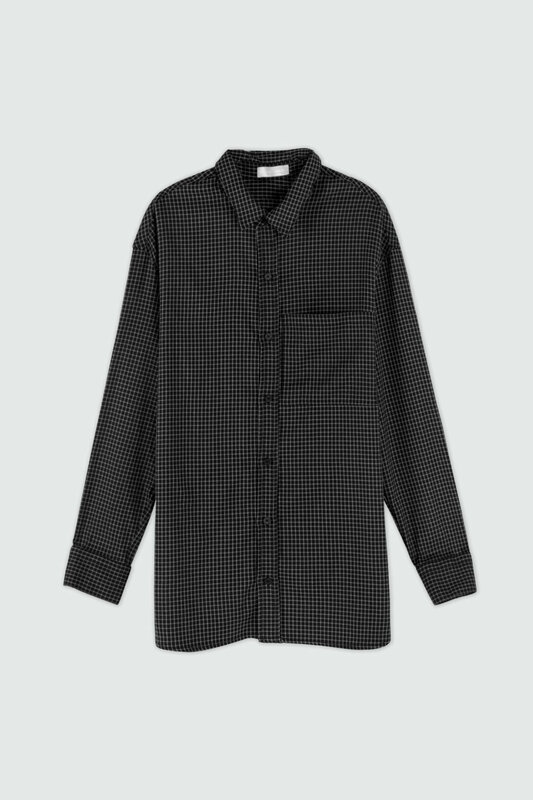 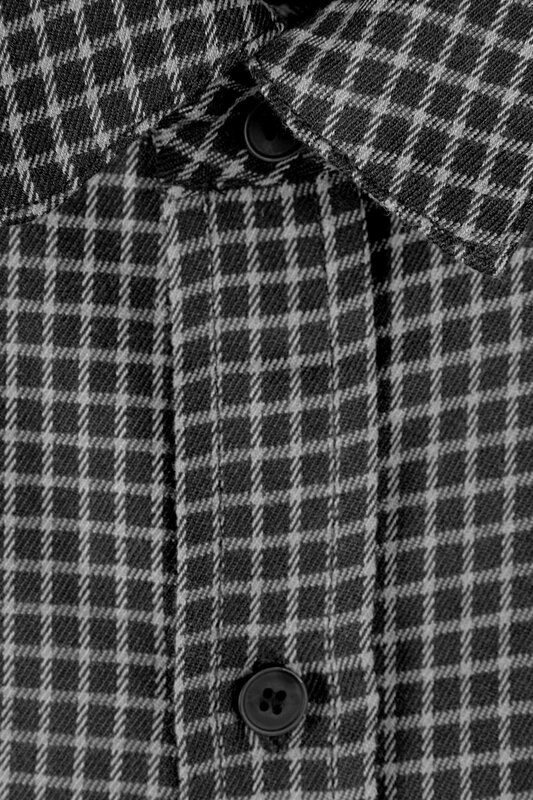 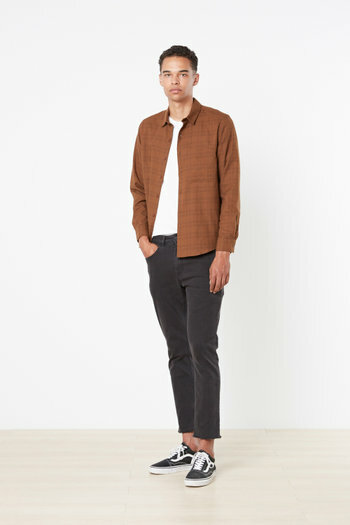 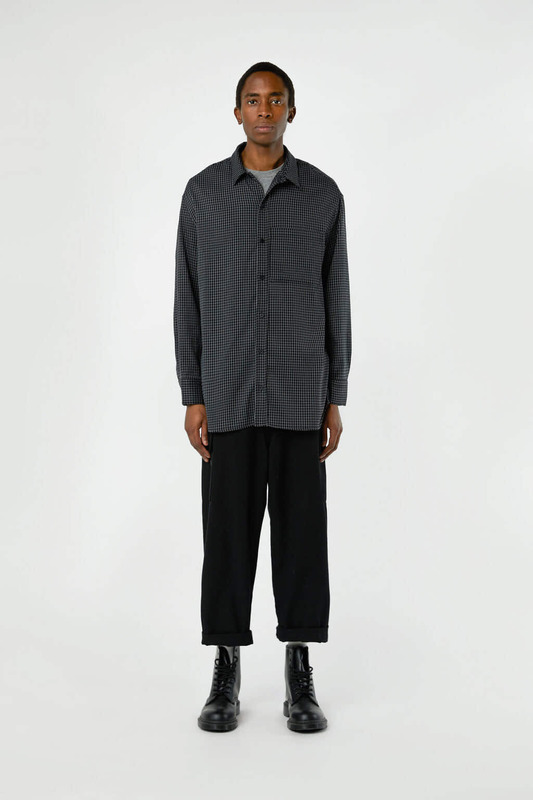 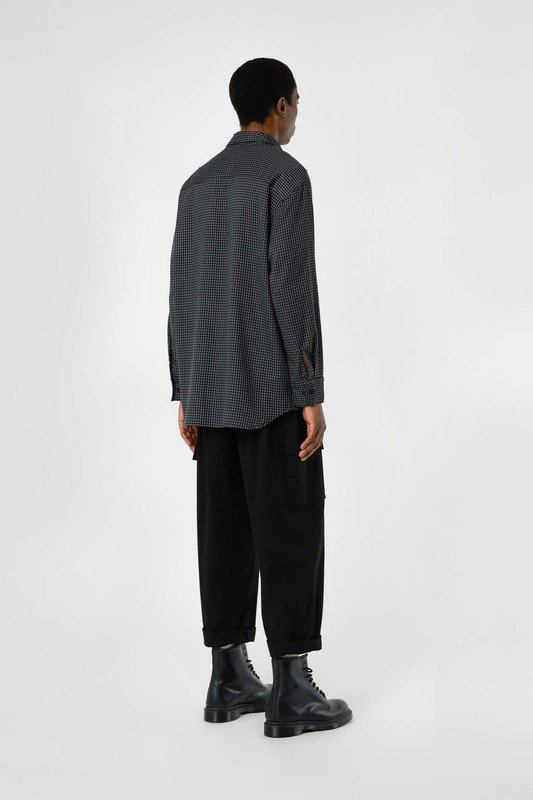 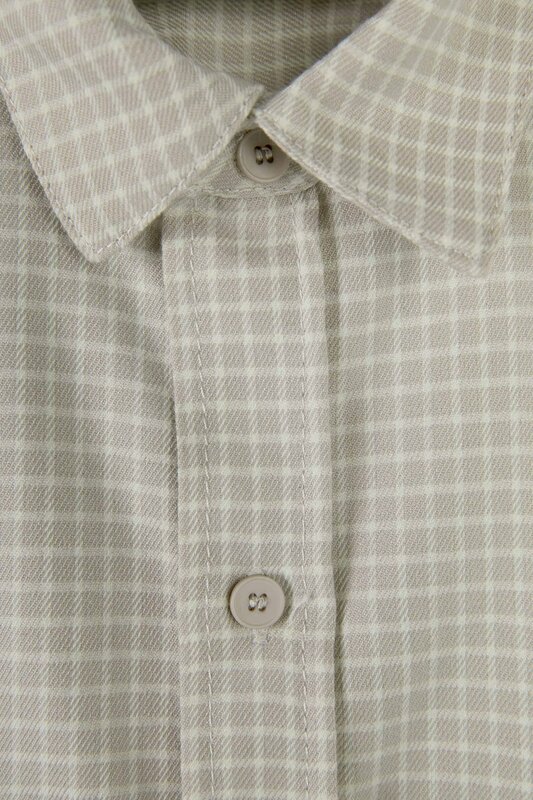 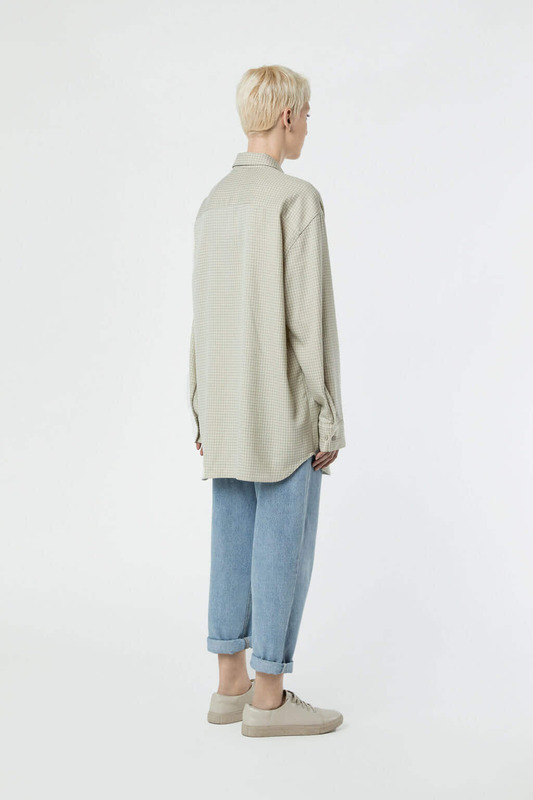 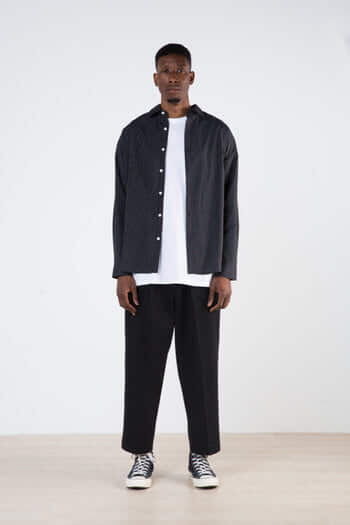 This lightweight button-up shirt features an oversized fit and is designed with a minimal grid pattern and a front patch pocket. 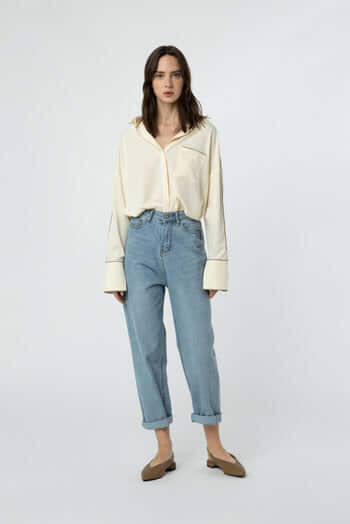 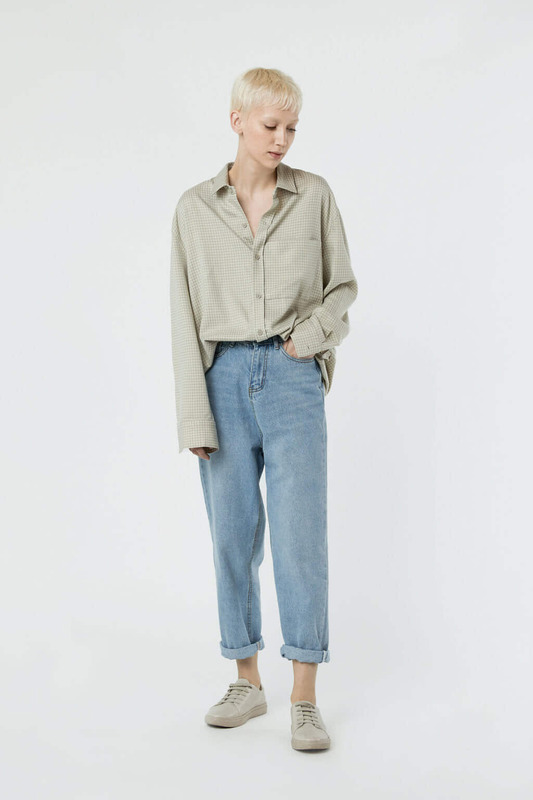 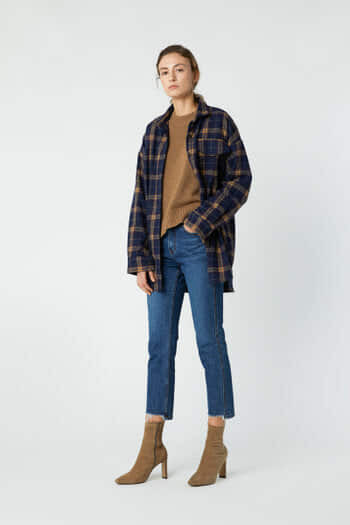 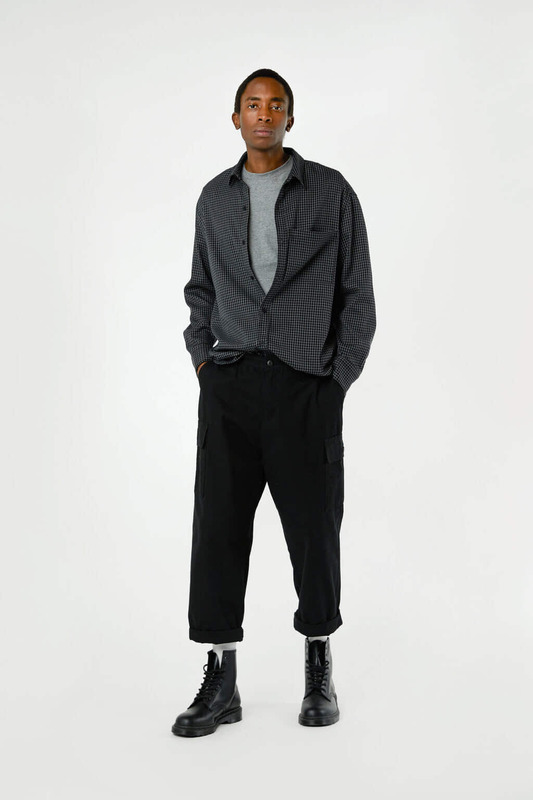 A transitional style to wear in all seasons, wear yours tucked into highwaist jeans, layered over a turtleneck sweater and trousers in the fall or unbuttoned with a basic tee and shorts in warmer weather. 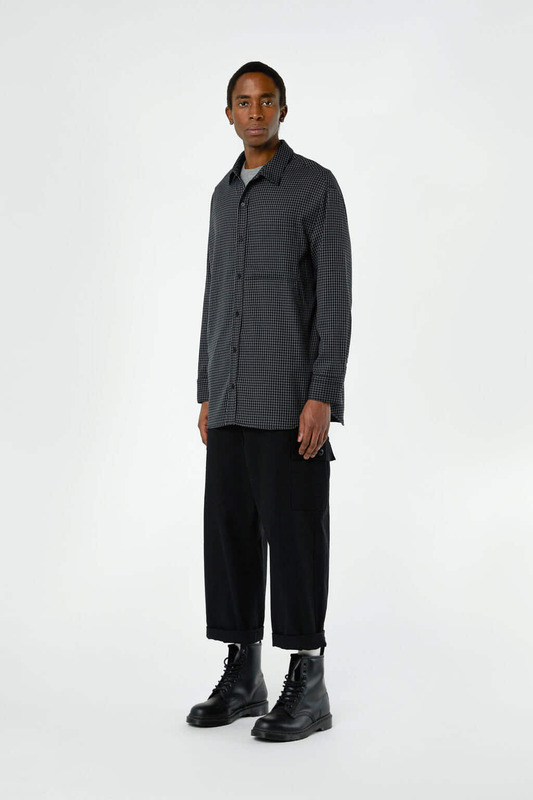 The male model is styled with TShirt 2749 and Pant H098. 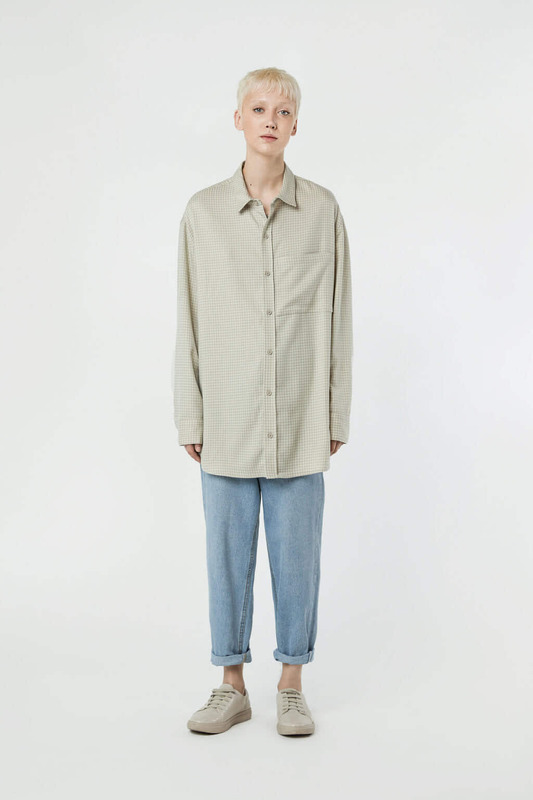 Male model's height is 6'0".